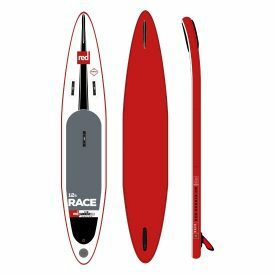 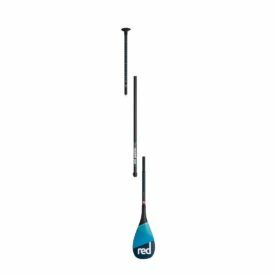 The 2018 Starboard 12’6″ x 27″ All Star racing inflatable paddle board is the merged version of the 2017 12’6″ x 26″ and 28″ Racers. 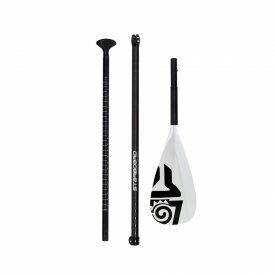 It has a slightly wider nose for extra pop in choppy water and a wider tail for greater control and stability when buoy turning. 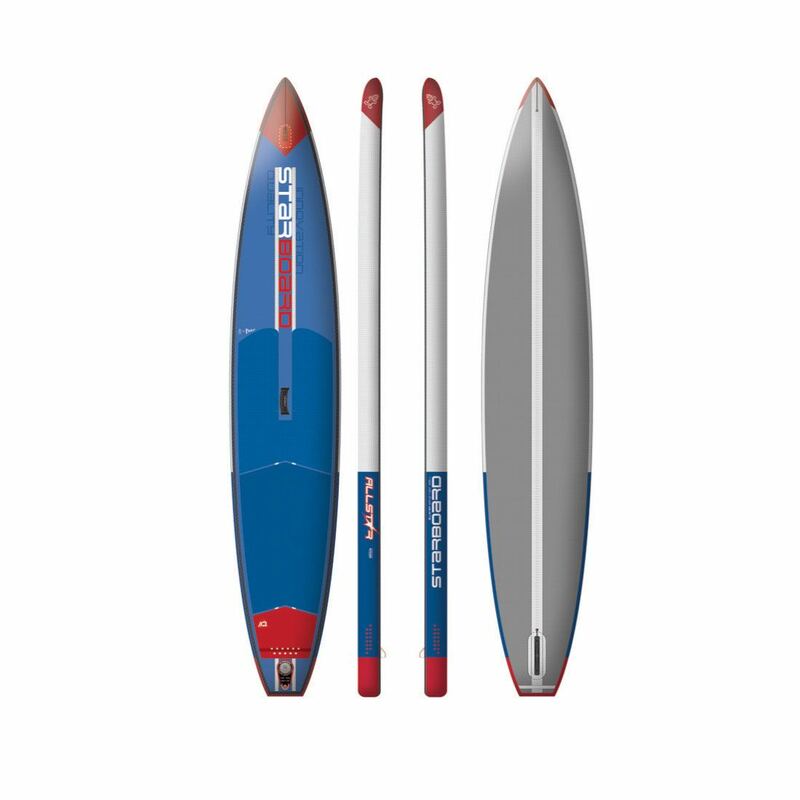 Twin stringers on the deck combined with the Airline Deluxe Construction creates a 12’6″ racing inflatable SUP with the fastest and smoothest glide ever. 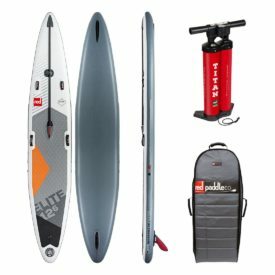 This unique line of inflatable paddle boards shares the outline of the multi championship winning All Star and combines it with the practicality of an inflatable SUP. 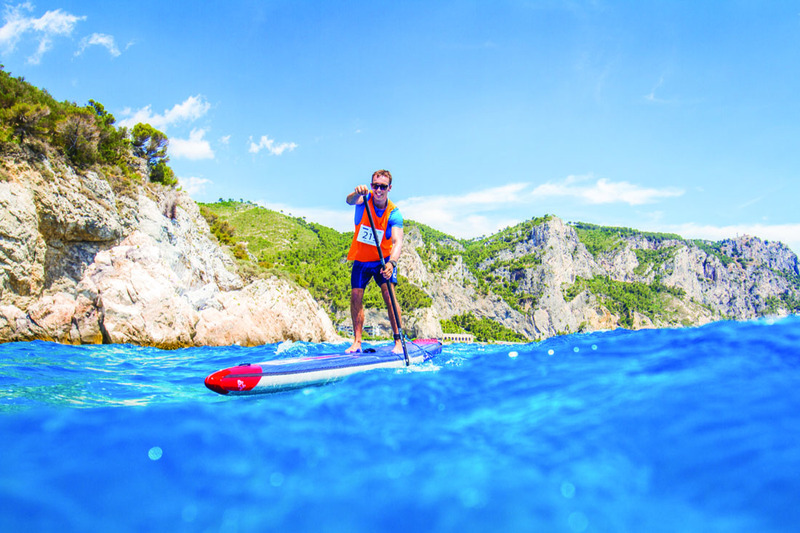 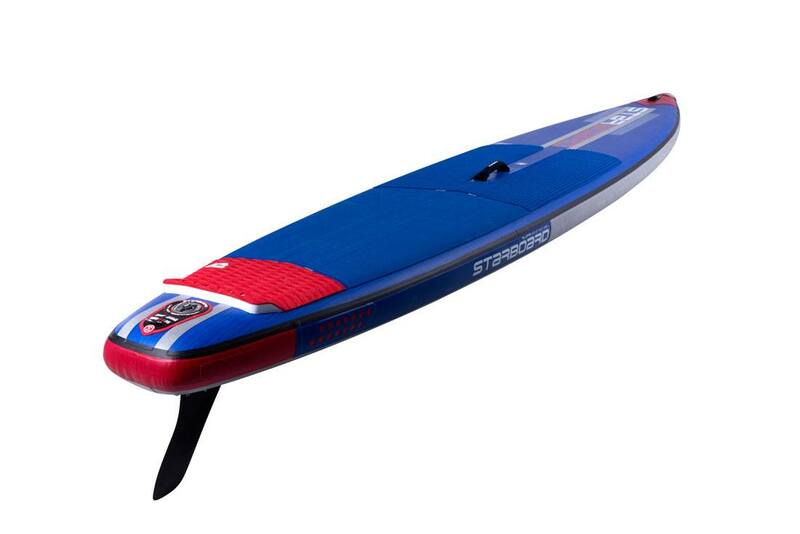 What truly makes this board special though, is the all new award winning patented Airline stiffening system resulting in an extremely rigid inflatable paddle board. 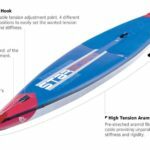 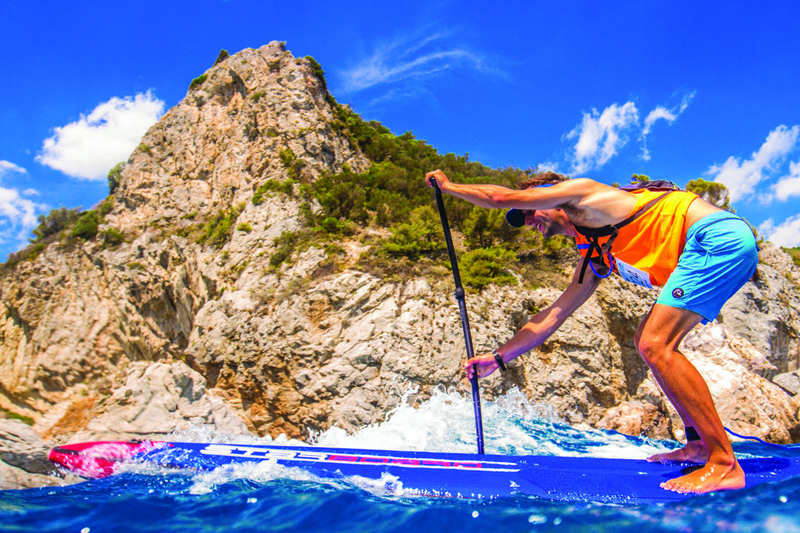 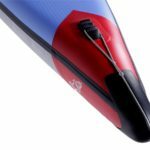 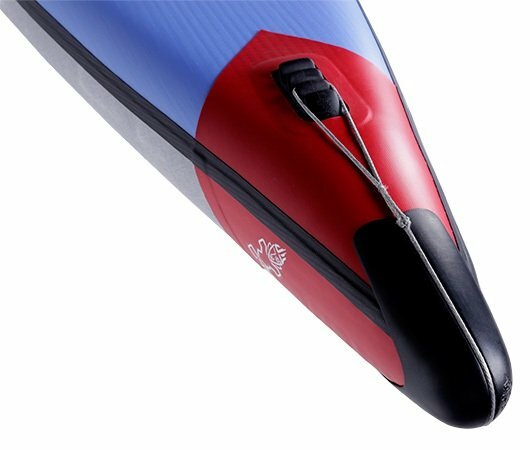 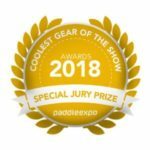 The 2018 Starboard inflatable All Stars have set a new standard by which all other performance inflatable SUP’s will become measured. 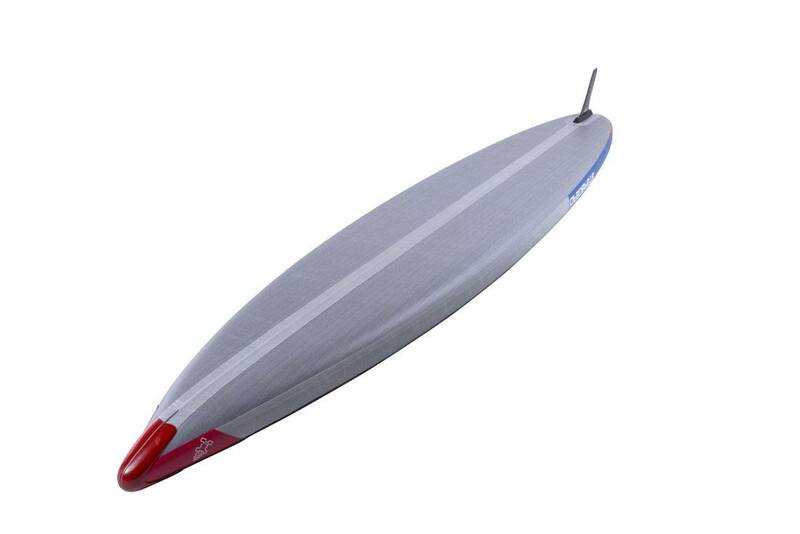 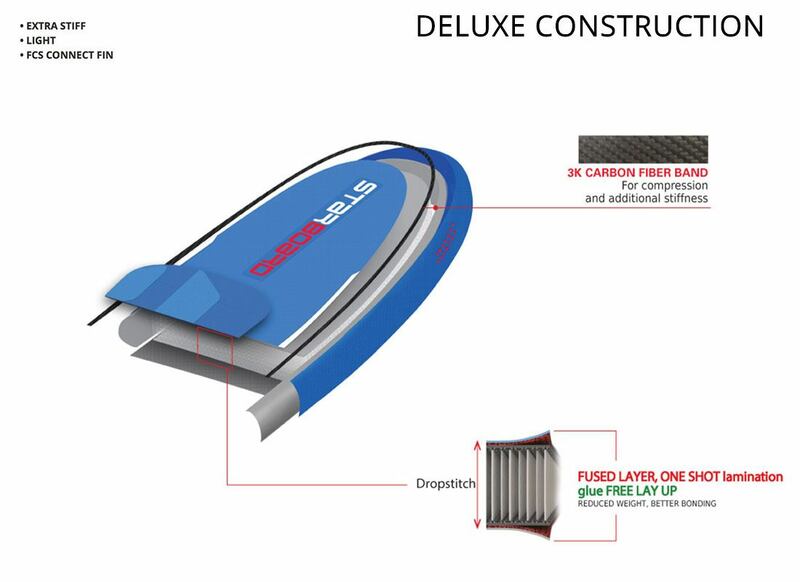 Inflatable board convenience, composite board performance. 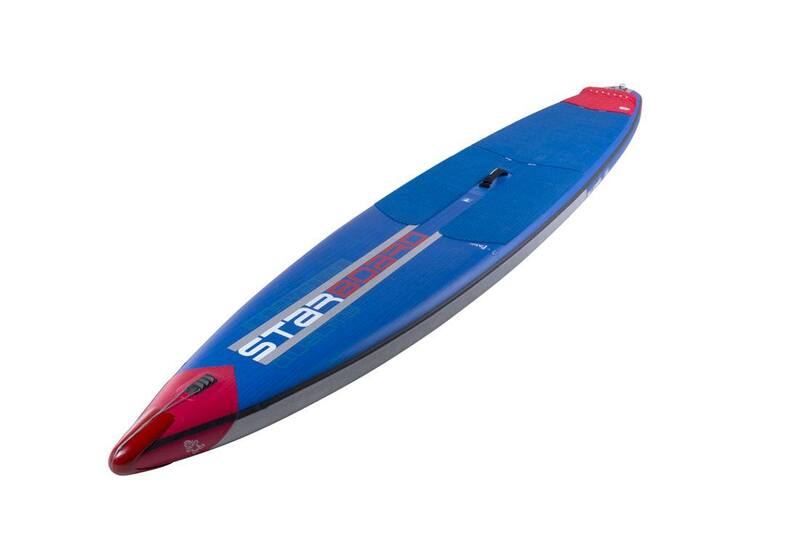 2018 Starboard 12’6″ x 27″ All Star Airline Deluxe. 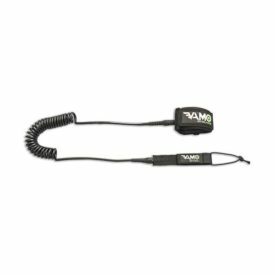 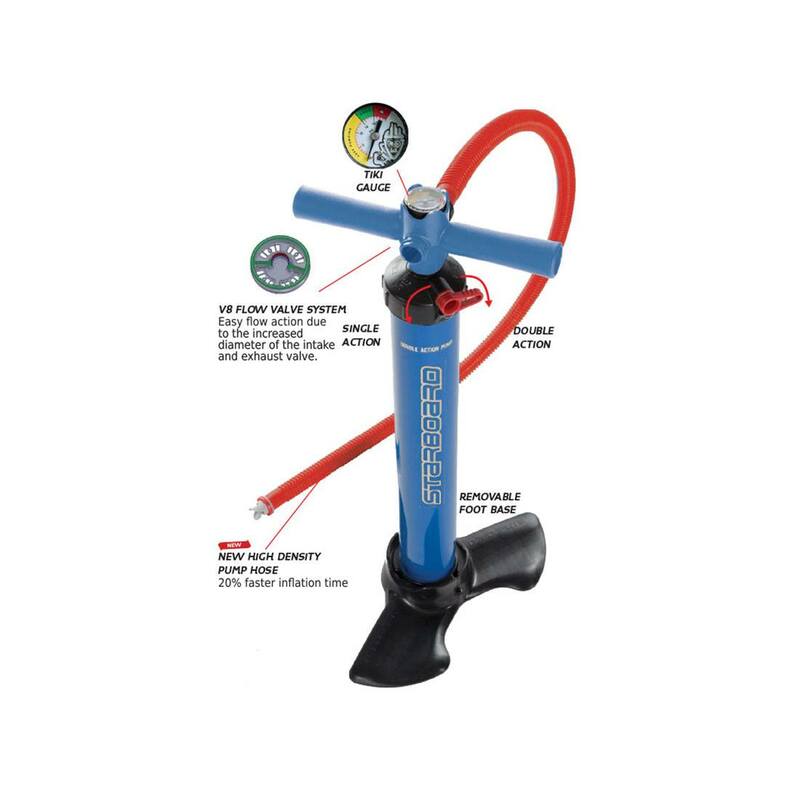 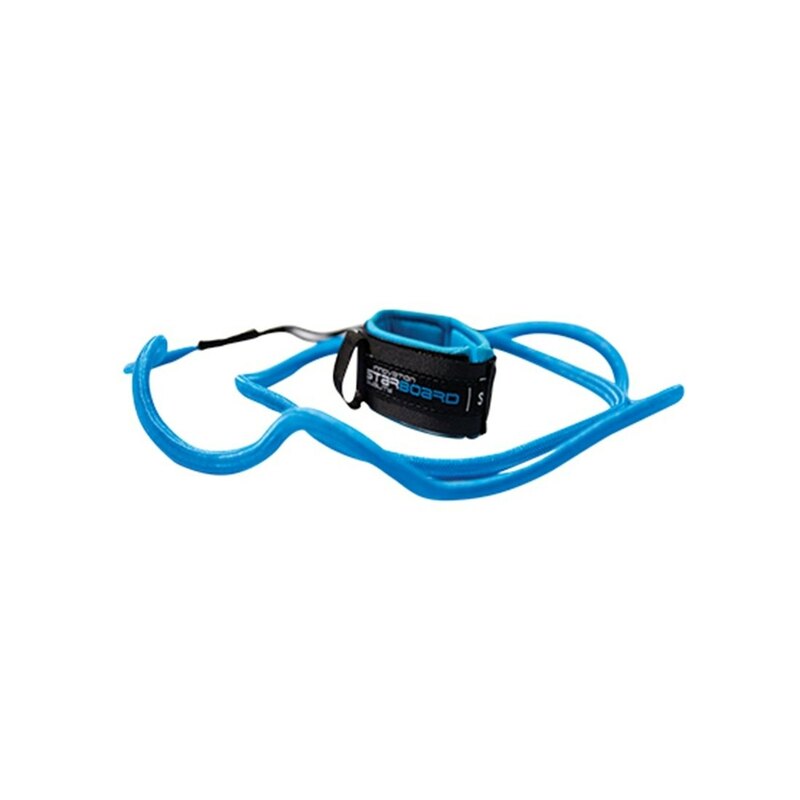 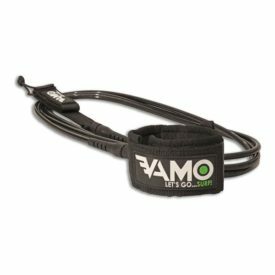 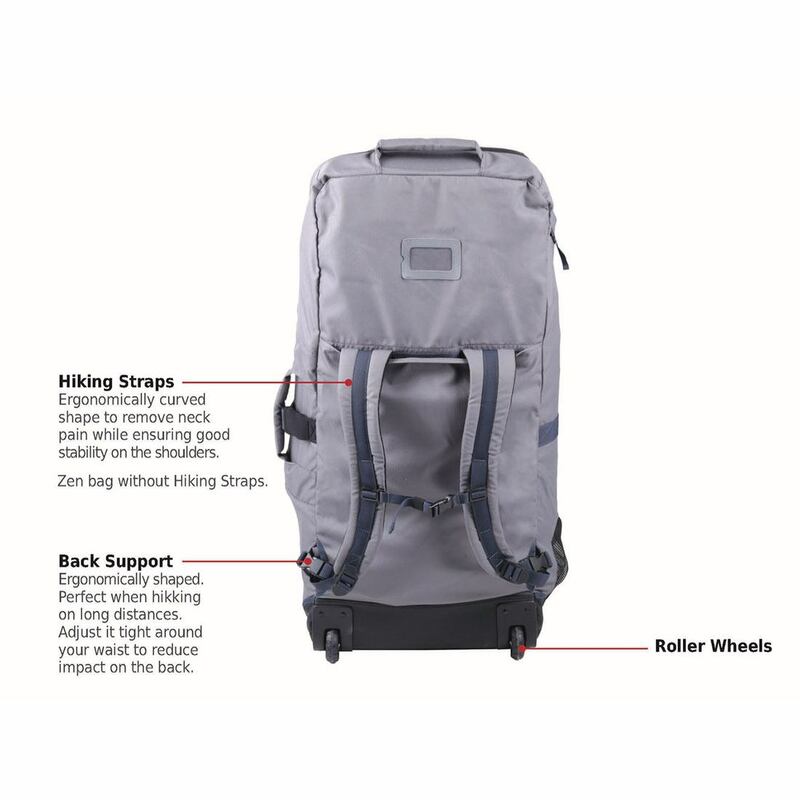 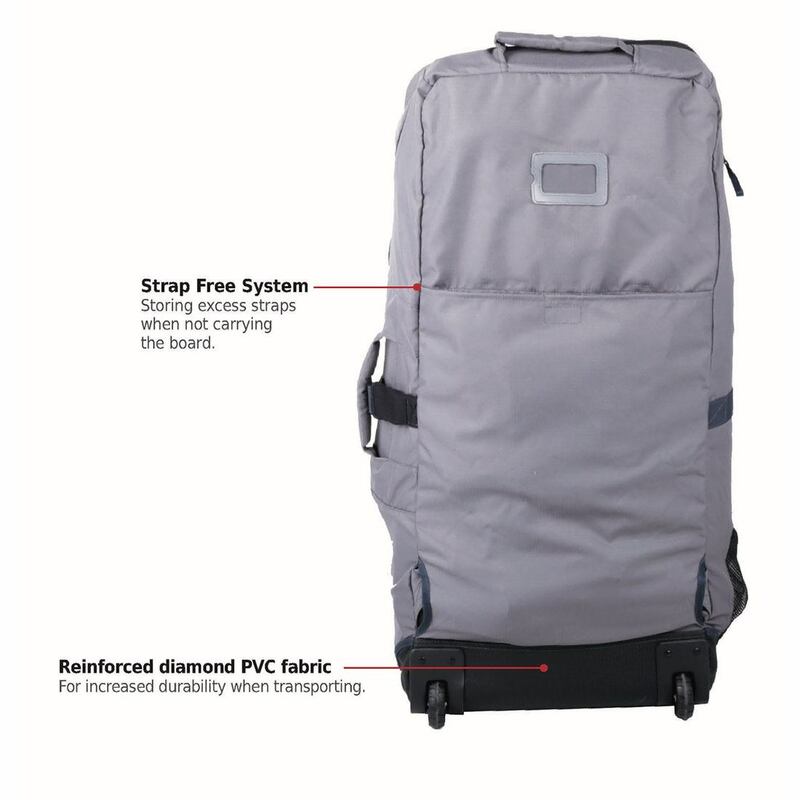 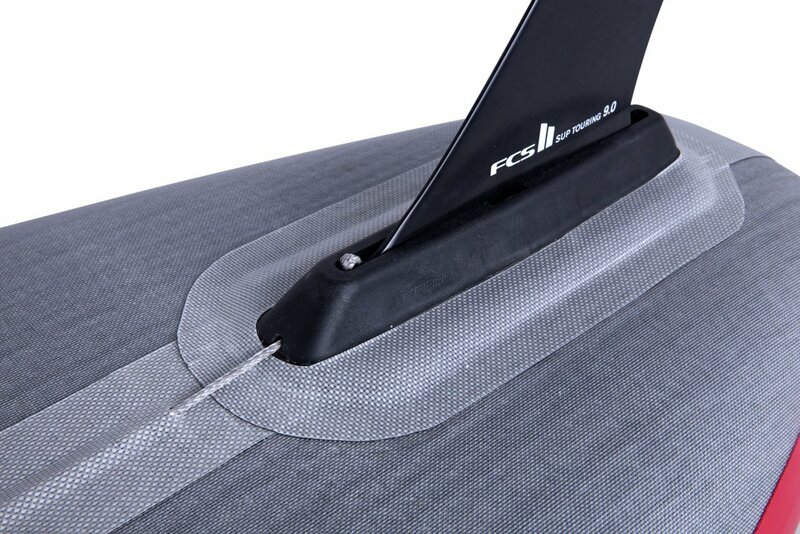 The patented Airline Technology utilizes a pre-set free-floating cable. 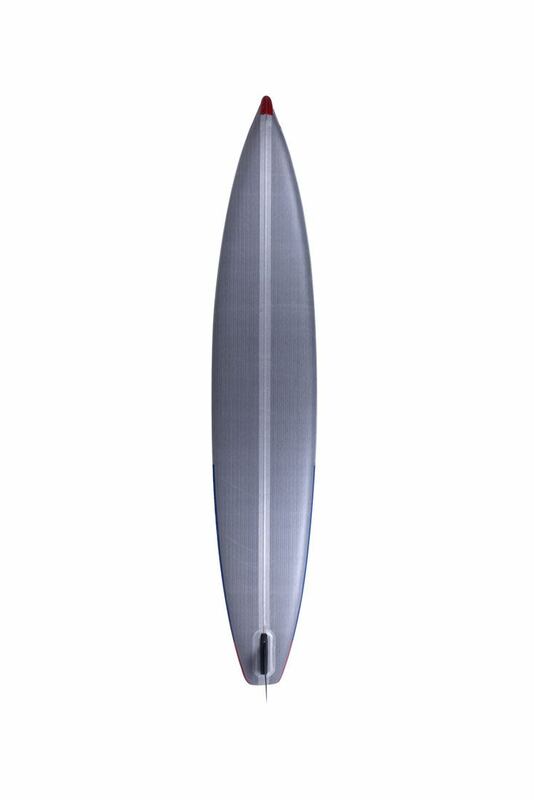 It is attached to the nose, goes under the bottom and ends at the fin box. 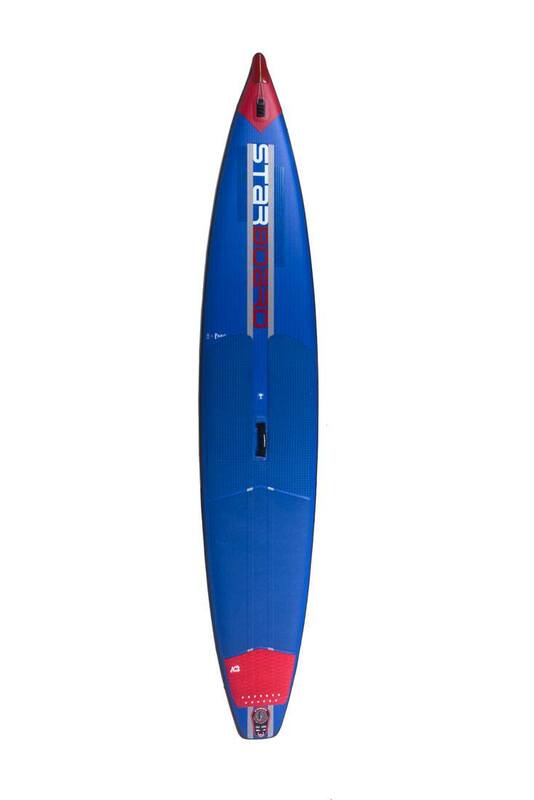 The preset cable is slightly shorter than the board so when the board inflates, the cable comes under tension and stiffens the board significantly. 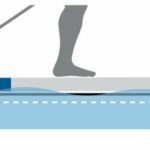 We measured 1.8 cm less hull deflection in testing and 2016 World Champion Connor Baxter swears by it. 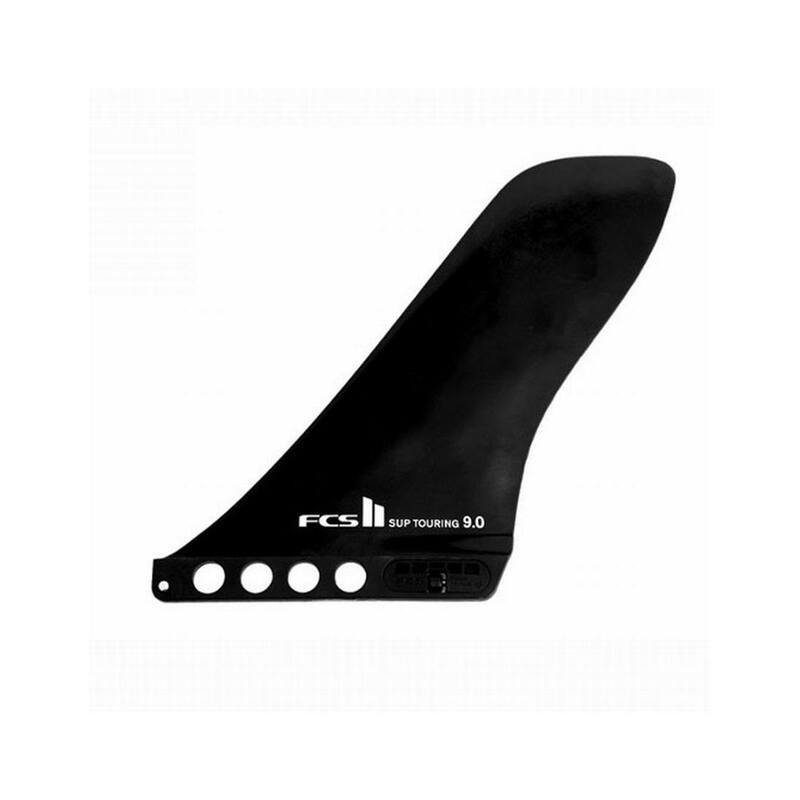 For more on setting up and tuning your Airline board click here. 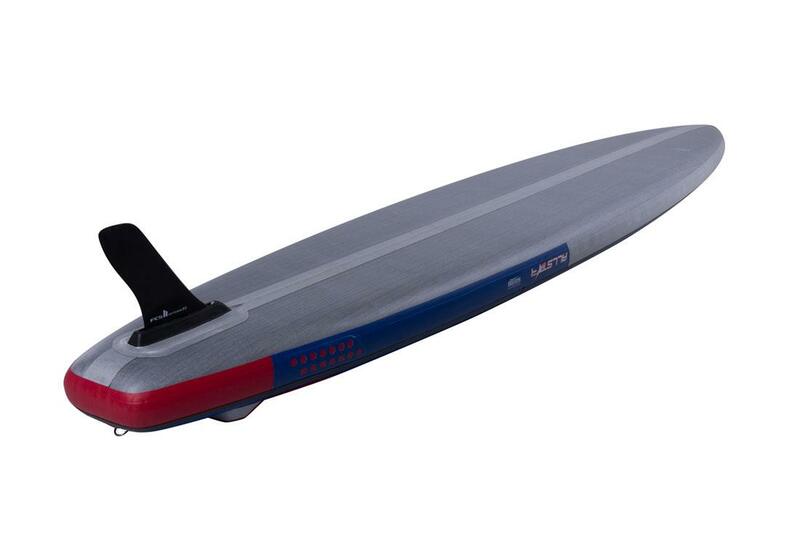 The innovative Rail Edge helps the water release off the board’s tail for optimal glide and speed. 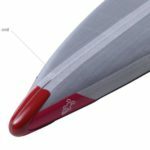 The Rail Edge is still easily folded and rolled when deflating. What’s in the box? 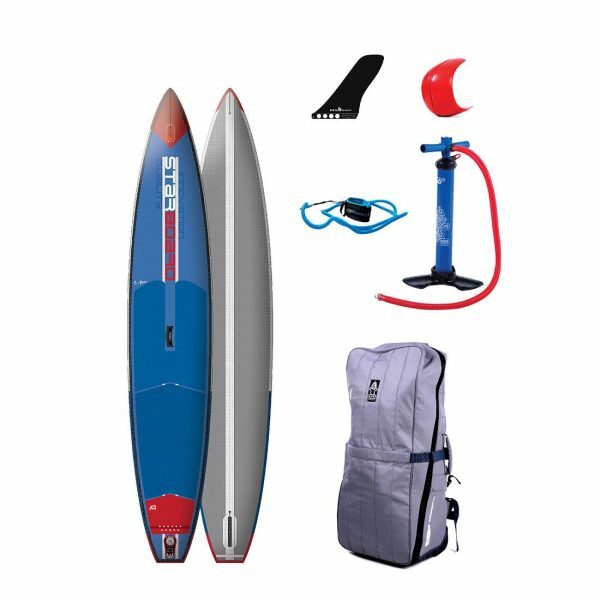 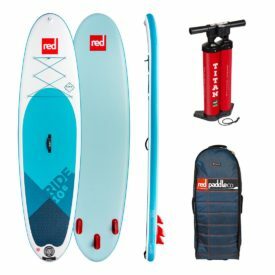 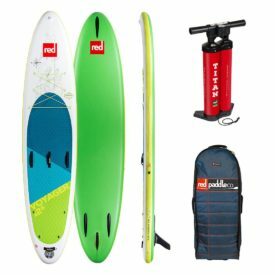 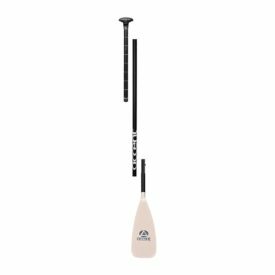 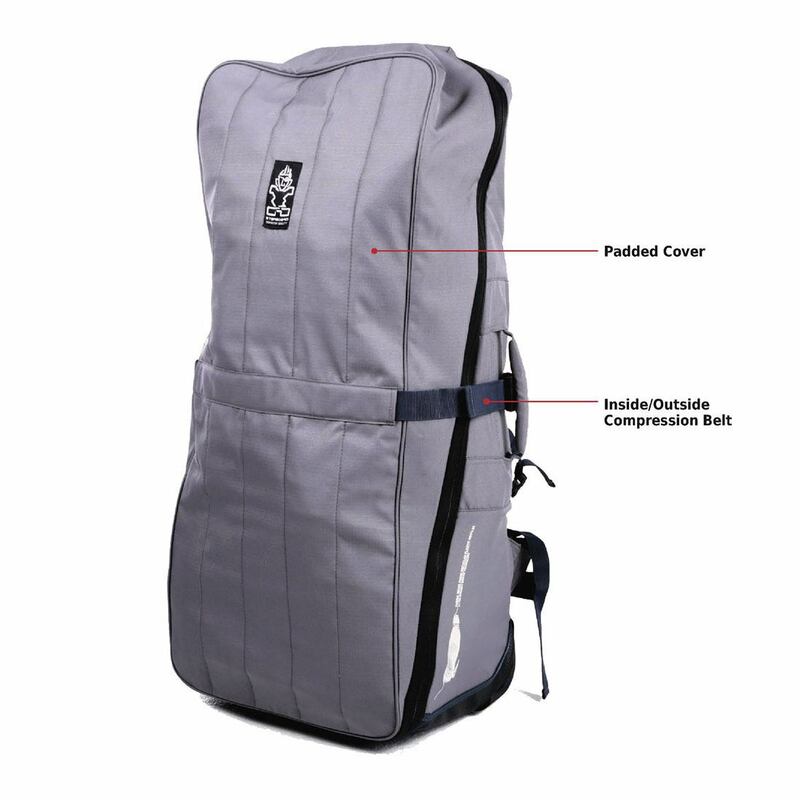 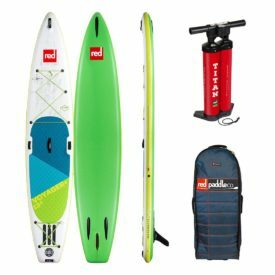 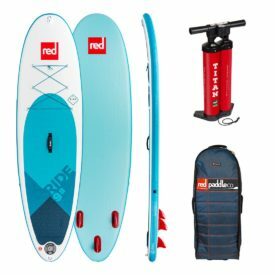 This board comes with Starboard’s Re-Cover Deluxe SUP board Bag, FCS fin, V8 Double Action High Pressure Pump, lightweight Starboard leash and a small repair kit. 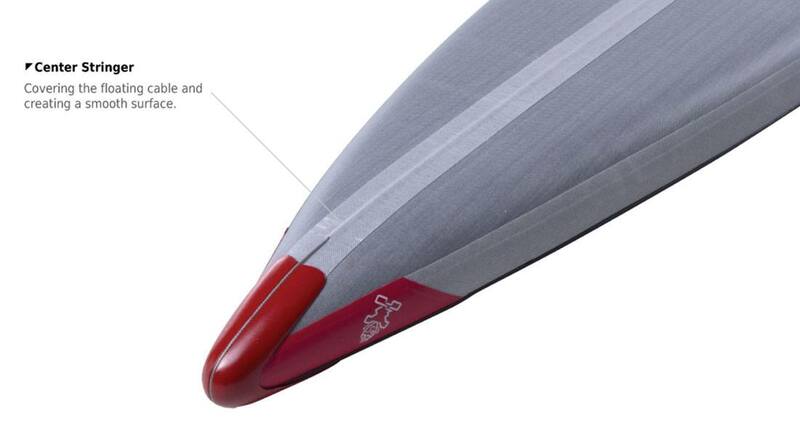 Note: Airline nose cone may arrive in black instead of red. 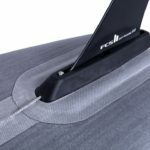 Black is the upcycled fishing net material. 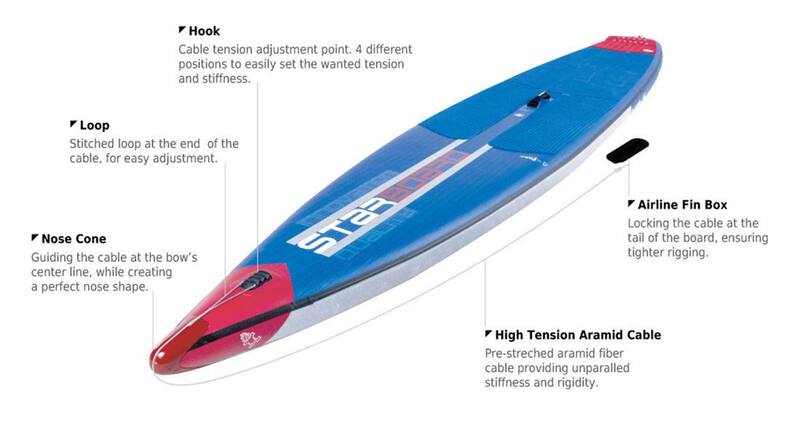 View the Starboard Inflatable SUP Airline Manual (0.2MB).